Iranian President Hassan Rouhani meets with Italian Foreign Minister Paolo Gentiloni and Minister of Economic Development Federica Guidi on 05AUG15 in Tehran. Iranian President Hassan Rouhani has accepted an invitation to visit Rome, Italy's foreign ministry said on Wednesday, in what would be his first trip to an EU capital as he tries to mend diplomatic and economic ties with the West. 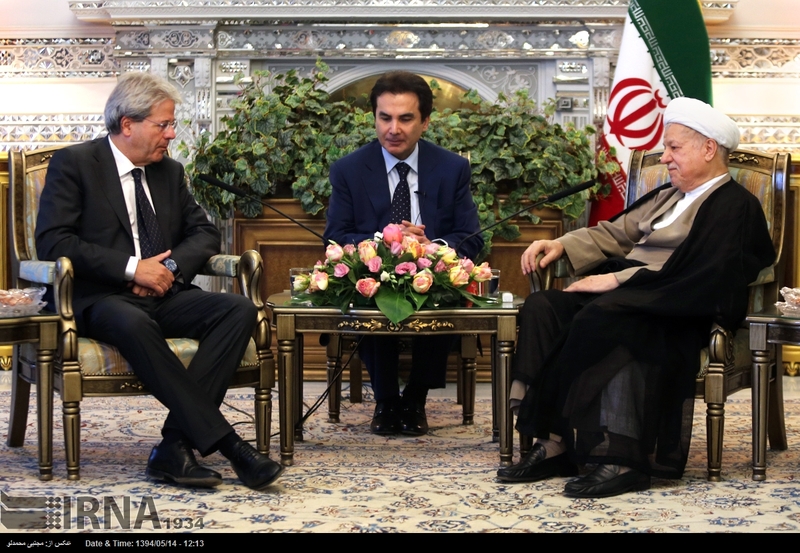 Italian oil and gas group Eni, which had a major presence until 2001, has said it will consider investing in Iran again if sanctions are lifted and it receives favorable contract terms. Investment bank Mediobanca on Tuesday said that it, along with Italy's development ministry and export credit agency SACE, had signed a memorandum of understanding with Iran's economy ministry and its central bank. COMMENTARY: Iranian President Rouhani has now been invited to both France and Italy, following the signing of JCPOA and the prospect of lucrative, post-sanctions economic ties. The Iranian foreign ministry stated today that delegations from Spain and Switzerland are scheduled to be next, for visits to Tehran to meet with Iran's leadership. 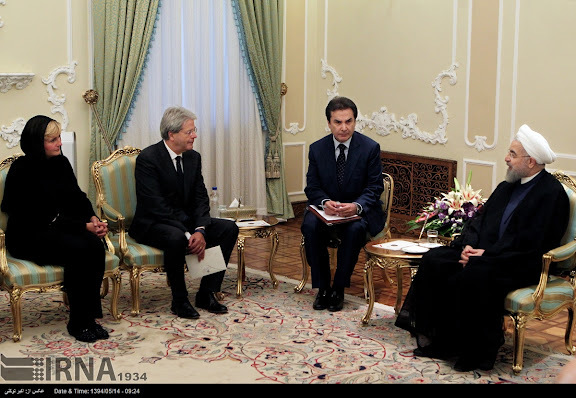 Italian Foreign Minister Paolo Gentiloni meeting with Akbar Hashemi Rafsanjani, Chairman of Expediency Discernment Council.